Tron Legacy, the upcoming sequel to the 1982 Disney sci-fi hit Tron is making its presence felt at the Walt Disney World Resort. In a move to promote the movie, the folks at Disney World have chosen to use the monorail as a giant billboard. 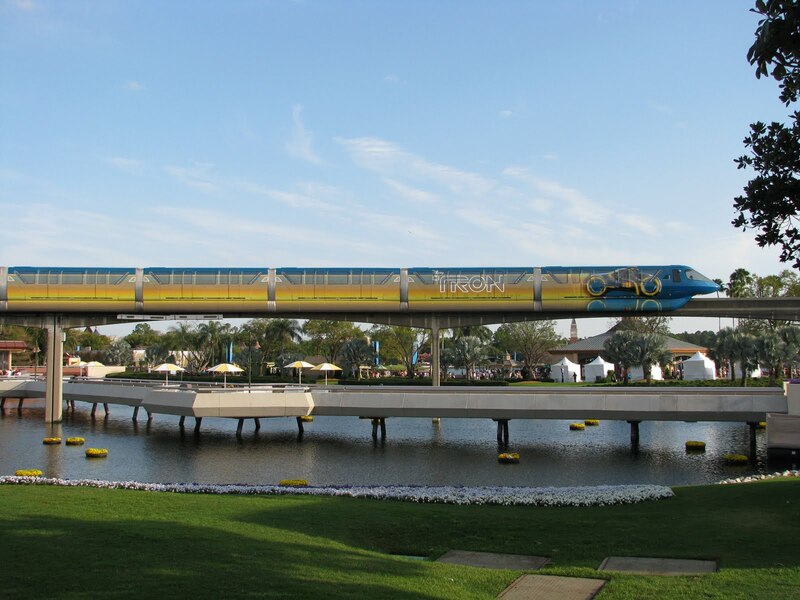 The graphics look great and can be seen on one of the monorails that travels between the Ticket and Transportation Center and Epcot. Tron Legacy is scheduled to be in theaters December 17th, 2010. The sequel will feature Jeff Bridges in a reprisal from his role in the original albeit, 25+ years later. He is still within the Tron Game and now his grown son intends to find out what happened to his father so many years ago. Tron:Legacy is a 3D High-Tech Adventure set in a digital world that’s unlike anything ever captured on the big screen. Sam Flynn (Garrett Hedlund), the tech-savvy 27-year-old son of Kevin Flynn (Jeff Bridges), looks into his father’s disappearance and finds himself pulled into the digital world of Tron where his father has been living for 25 years. Along with Kevin’s loyal confidant Qora (Olivia Wilde), father and son embark on a life-and-death journey of escape across a visually-stunning cyber universe that has become far more advanced and exceedingly dangerous. However you stand on the idea of using the monorails to help cross promote and advertise other Disney businesses the stunning graphics on the monorial look great! It certainly gets your attention. 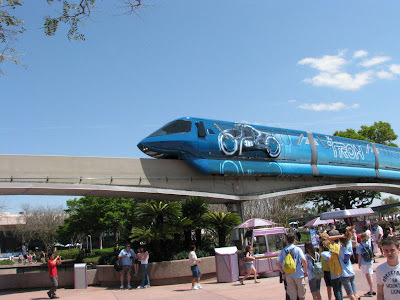 0 comments to "Tron Legacy Monorail At Disney World"